Anyone who wonders what happens to communities when a factory closes nowadays can look no further than Washington Post reporter Amy Goldstein’s excellent look at several families whose lives were touched by the General Motors plant closing in 2008. Capturing both the financial strains and the emotional trauma, these laid off workers commute great distances to remaining operations or chase lower paying jobs, and often that’s after periods of no job at all. Compounding this is the emotional trauma of downsizing and the shame of getting help, whether from strangers or family. The story is enriched further by Goldstein’s profiles of the folks attempting to help the downsized. 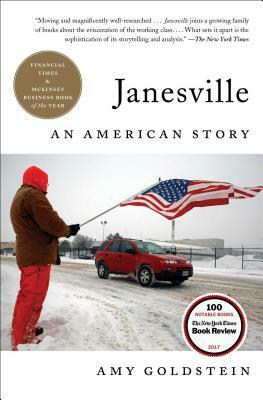 Perhaps one of the biggest takeaways from Janesville is the lack of proven success and the numerous risks from job retraining, the one strategy for coping with blue collar job loss that has bipartisan support. A great match of public policy and personal stories, I highly recommend for your what-to-read-after-Evicted checklist.